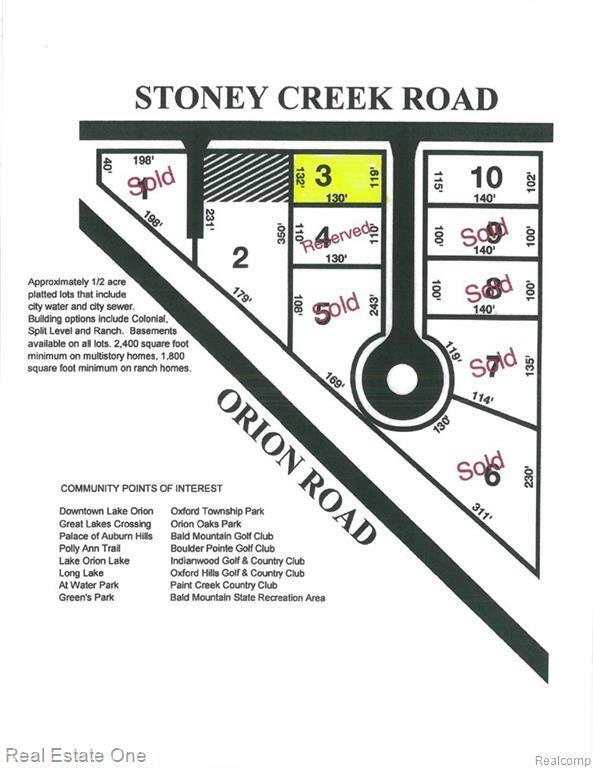 Build your dream home on this great lot located in the Lake Orion school district. Prime subdivision with country feel and only 10 lots. Close to restaurants, shopping, downtown Lake Orion and the Paint Creek Trail. City water and city sewer. Building possibilities include colonial, split level and ranch with basements available. All measurements and data approximate.